Your car insurance policy has two components : Own damage and third party. Own damage , as the name implies, is when your car is insured for the damages that it might incur in an accident, or the insurance for your vehicle should it be lost etc. Third party motor insurance is compulsory by law. No individual is allowed to drive one's car without third party motor insurance. Third party motor insurance is also typically quite cheap. For example, for a private car, in most cases it is less than Rs 1000 per year. IRDA, the insurance regulator, still controls the pricing of third party motor insurance while it does not control the pricing of any other insurance risk. This is called tariff. The general insurance sector was detariffed in 2007 with the exception of motor insurance third party. India is perhaps the only country in the world which has unlimited liability covered in third party motor insurance for unlimited periods of time. Thus an external party, in theory, can file for a 100 cr compensation, even 20 years after an accident has happened! Third party claim amounts in recent years have been on the rise due to greater earning potential of individuals in general, and earnings being projected over a longer life span. General insurance companies in India have been bleeding because of the motor third party premiums being kept very low by the regulator. A third party motor pool has been created to pay for all the third party related claims and that has had a huge deficit . Insurance companies have been asked to provision for an additional 3500 crores to take care of this liability. And they might need to provision even more later. This pool has had such an impact that many insurers have needed to infuse additional capital to ensure that they maintain the solvency margins stipulated by IRDA. 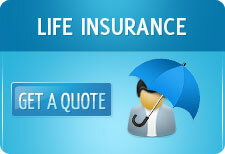 Motor third party has proved to be the curse of the general insurance industry in India. However, IRDA has now announced new pricing for the motor third party insurance which has come as a welcome relief for all the general insurers. Effective 25th April, third party motor insurance rates will go up between 10% and 65% depending on the category of the vehicle.